I'm not saying I didn't have a heart arrhythmia (or three) in the final minute of the Duke-UCF game Sunday. I'm not saying I didn't watch LSU geaux through Yale like a buzzsaw with a blank stare and repeated mutterings to myself that potential NCAA violations usually lead to really good teams. I am saying that in a year where there's more chalk than a powerlifting contest, I should've listened to Sciencing's data more. 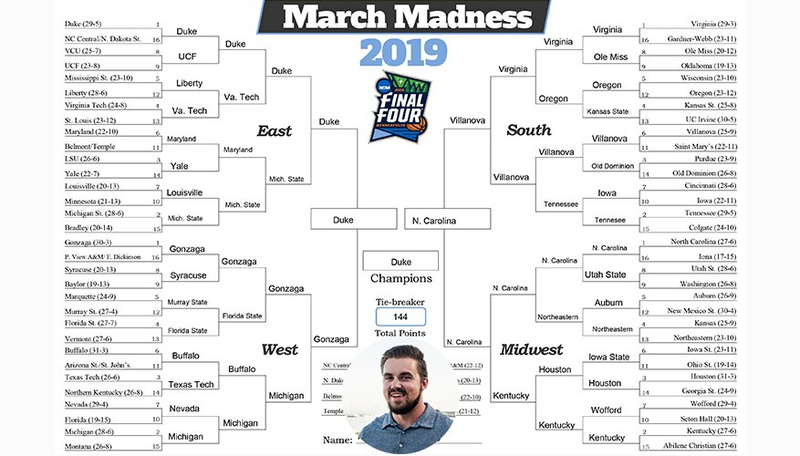 I got a few upsets right — thank you Liberty, Oregon and Ja Morant — but that's where the good feelings end. Ball don't lie and in this tournament, neither does data. Picking the higher seeds has worked often and in the off chance it didn't, Sciencing pointed you in the right direction (a few 5-vs.-12 and 6-vs.-11 upsets that worked). I highly doubt the jitters with Duke will end with Sunday's game against UCF. The Knights showed everyone how to beat the Blue Devils. The question is who will have the personnel to do it. I don't think the Hokies do, especially because I have to stand by my original pick for the National Championship, but the data shows Duke's got a 71 percent chance at victory. Zion's worth another 10 percent easily. This is likely an overreaction to picking Jodie Foster's alma mater to upset the Tigers in the first round, but the Tigers have played well over the first two rounds. Winning in that fashion over Maryland makes me believe the basketball Gods are on their side. I'm going against Sciencing here – seeing as the data says No. 2 seeds win 63 percent of the time – because I don't learn anything from past mistakes. Feel free to project that over other aspects of my life. I probably should. Also, the idea of an LSU-Duke Elite Eight matchup is tantalizing in on-court talent and off-court storylines in the NCAA's biggest problems: lack of paying incredible players (like Zion Williamson) and recruiting scandals (LSU coach Will Wade's involvement with Christian Dawkins). I'm picking the Bulldogs here but this is by far my favorite game this round. The Seminoles look like an NBA team on the defensive end with size and athleticism to give any offense fits. Gonzaga's been in control of both games they've played so far but neither FDU nor Baylor boasts the same physical traits of the Seminoles. It comes down to Gonzaga's offense here and I like that as well as their depth. If you're looking for a high-scoring affair, you won't find it here. This may very well end up a race to 55 points. Sciencing's data gives Michigan a 63 percent chance here but again I'm going against it. I like Tech's sophomore Jarrett Culver to continue his torrid streak (22 points, nine rebounds, six assists per game so far) in a game where having a top-end scorer will make the difference. It's going to be close, as Michigan's not afraid of the big stage and boasts the likes of Jordan Poole, who has ice in his veins. The lone giant-killer remains! Huge shoutout to the Ducks for making it this far, they're the only relative surprise of this year's bracket. Meanwhile, has a No. 1 seed ever been as nervous as Virginia on Friday? That was awkward. Unfortunately Gardner-Webb didn't garner any headlines this year and the Cavaliers breezed by the first two rounds. The data shows every No. 1 has defeated a No. 12 in the Sweet 16 in the history of the NCAA tournament. But we all know about Virginia losing in unprecedented situations in March. I like the Cavaliers here but I'm not confident, given Oregon's hot streak and prolific outside shooting (50 percent from deep in the tournament) that's been a potential downfall for Virginia. Finally, I'm listening to the Sciencing's data again. That close win against Iowa doesn't inspire confidence in the Volunteers but I doubt it would've been close if Best Name of the Tournament winner Admiral Schofield wasn't in foul trouble. In case you doubt me on that award, the dude also has a brother named General. Kudos to the Schofield family for leaning in to their Navy background. Purdue's Carsen Edwards must've heard me (and most of America) pointing out his cold streak. Dude was unstoppable against Villanova. But I can't see them getting past the Vols here. It just means more. Speaking of arrhythmias, Auburn's been a scary team for viewers and opponents. They tried so hard to grab defeat from the jaws of victory against New Mexico State and then embarrassed Kansas. Simply put, I have no idea which team will show up against the Tar Heels. My goodness did UNC look good against Washington. Even if the scoring machine the Tigers looked like against Kansas shows up, I doubt that'll be enough to take this team down. I can't get a read on either team with this one so I'll refer to the Sciencing data. Houston's been largely unchallenged, while if it wasn't for Wofford's best shooter suffering one of the worst performances in tournament history, Kentucky may not have won that round of 32 matchup. The Wildcats aren't at full strength and Houston's looking to erase last year's heartbreaking exit to Michigan in the second round. Is this me trying to overcorrect and embrace the data? Am I confident it'll work? But that's the beauty of March Madness. Enjoy! Ostly, Ayrton. "Data Don't Lie: Ayrton Ostly's March Madness Lessons and a Look at the Sweet 16." 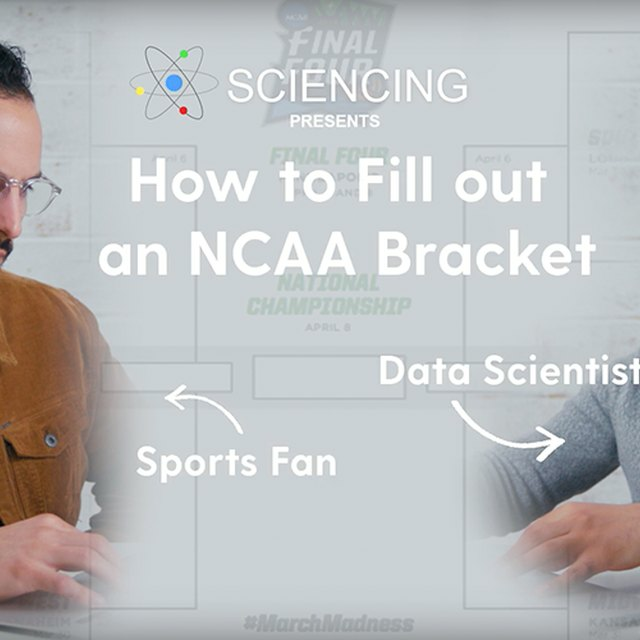 Sciencing, https://sciencing.com/data-dont-lie-ayrton-ostlys-march-madness-lessons-and-a-look-at-the-sweet-16-13718102.html. 25 March 2019.